NextEnergy Solar Fund has accelerated its timeline for developing subsidy-free solar in the UK, committing to completing four such projects over the next 12 months. 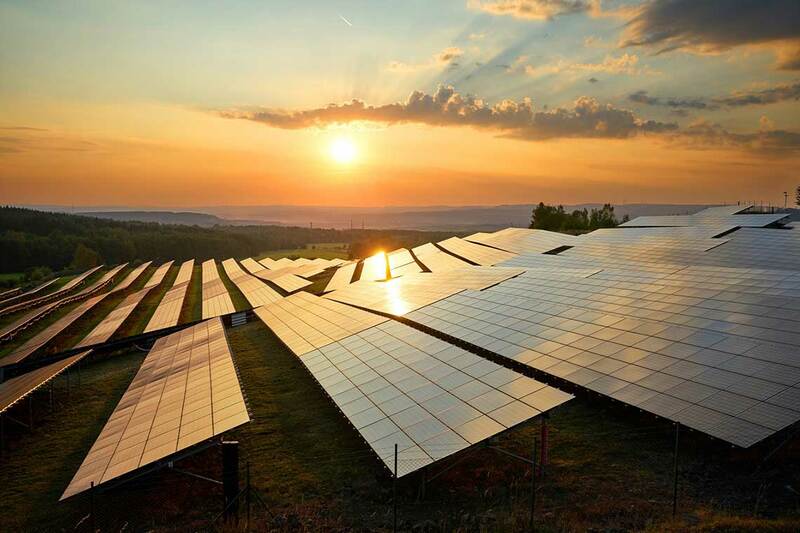 The investor, which already owns around 539MW of operational solar in the UK, made the announcement within its interim results for the six months ended 30 September 2017, which saw it produce more than 300GWh of renewable electricity for the UK. Earlier this year NESF revealed that it had acquired nearly 60MW of subsidy-free development projects, advising that it expected them to be financially viable at some point over the next 12 – 24 months. Furthermore, NESF now expects to be able to develop the sites within the next 12 months – a slightly accelerated development timeframe than previously forecast – with subsidy-free solar in the UK becoming an increasingly achievable reality. It said that projects developed in the UK without subsidies would be achieved through cheaper system costs and their integration with other technologies, specifically storage, although it is not yet clear whether any of the four sites NESF is currently pursuing will be located with battery storage. Developing sites will seemingly offset a more prudent and diligent approach the fund is taking towards secondary market purchases having encountered far greater competition in this field of late. NESF said that of the ~12.8GW of operational solar in the UK, much was currently in the hands of short-term investors fuelling secondary market activity. This, NESF noted, was causing prices to climb, particularly for larger portfolios. It revealed that it has targeted around 193MW of assets which it still has under consideration in the UK. The fund has instead turned its attentions to smaller portfolios which offer more efficient added value to NESF’s portfolio in general but also serve as a better means of mitigating investment risk. This has proven effective in the past, perhaps best evidenced with NESF experiencing a number of outages in the reporting period as a result of grid maintenance. While overall performance during the six months was around 2% ahead of expectation, NESF said this would have been higher were it not for some solar farms experiencing DNO-enforced outages. The most significant of these outages occurred with the 5MW feed-in tariff-accredited Hall Farm project in Leicestershire which was out of action for 43 days this summer owing to what NESF described as “extraordinary maintenance” works required on the local grid. Grid works forced a number of solar farms out of action this summer, perhaps most notably on the Isle of Wight where projects were hit by rolling periods of curtailment as a result of necessary reinforcement works carried out by SSEN. Nevertheless, NESF expects the lost generation to be recovered over the operational lifetime of the asset. Kevin Lyon, chairman at NESF, said the firm had continued to make “excellent financial and operational progress” in the first half of the UK, cementing its position as the country’s largest listed solar fund. “The solar PV market is in continuous evolution and our investment manager is actively assessing and pursuing multiple growth opportunities, mainly in the UK, ranging from previously constructed solar plants to subsidy free projects,” he added.